Wetlands are vibrant living ecosystems that provide valuable ecological services. They include such things as marshes, ponds, swamps, bogs, river deltas and peatlands; all different types of land that hold water, whether temporarily, seasonally or permanently. Wetlands are important habitats for a diverse array of plants, insects, amphibians, fish and larger wildlife. The vegetation in wetlands filters out nutrients like phosphorus from the water that eventually ends up in our lakes, helping control the growth of harmful algae blooms. By trapping water and releasing it over a longer timeframe, wetlands work to reduce the risks associated with floods and droughts. And by storing carbon, they mitigate the effects of climate change. Significant losses of wetlands have already occurred in Manitoba; approximately 75 per cent of our province’s original wetlands have been drained since industrial development began on the Prairies (Government of Manitoba). Drainage of these natural filters continues today, driven primarily by the pressure put on our local agricultural sector to meet an increased global demand for food production. In south-western Manitoba, we lose an estimated six hectares of wetlands every single day (Ducks Unlimited Canada) – that’s an area roughly the size of 11 football fields. Ongoing destruction of already threatened wetlands puts these vital habitats in peril, decreasing their ability to keep algae-causing nutrients like phosphorus out of our lakes, and reducing their ability to mitigate flooding and drought. Wetlands provide crucial ecological functions; we cannot afford to lose any more of them. Action 1 of the Lake Winnipeg Health Plan, Keeping Water on the Land, seeks enforceable protection of remaining wetlands at a provincial scale. Our approach to protection is guided by the principle of no-net-loss of wetland benefits, whereby any future drainage of these areas will require compensatory action to replace their valuable services. But protection is just the first step. The next step is to reverse the damage done in the past and strive towards a net gain of wetland ecological function. LWF will develop, support and fund engineered solutions for water management on Manitoba farms that mimic the natural function of wetlands while providing producers with accessible water resources. We will also encourage investment in such initiatives by Manitoba’s agricultural community and by government. 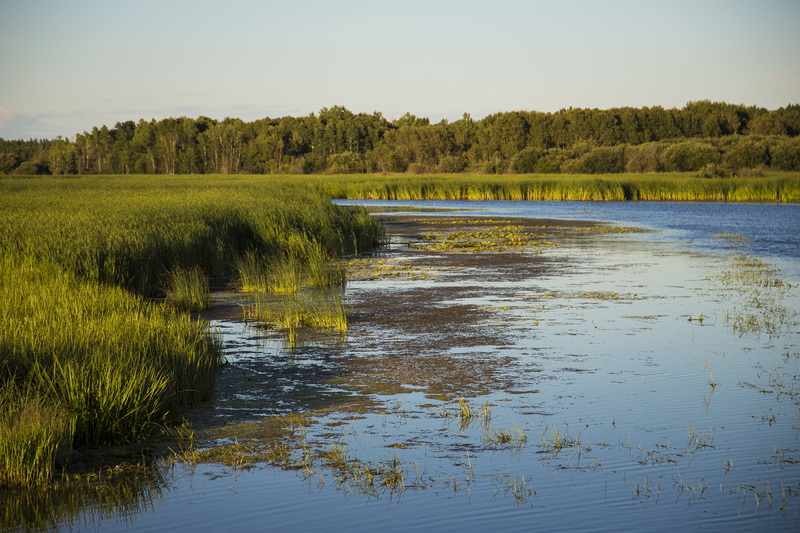 For further reading on the importance of Manitoba's wetlands, click here. This supplement ("Nature's Wealth") was published in the Winnipeg Free Press and Brandon Sun in late fall, 2014.